"I have never been quite so moved by that first movement, skillfully placed in a context of war and suffering...utterly gripping , moment to moment... The performance will live in the memory for having been being part of its own time as well as part of Shostakovich's." "It has always been the music itself that has driven the mission of our concerts. We musicians should declare more often that the act of making music is an act of bearing witness." Beethoven's Ninth symphony resonates in the most human ways with the plight of the millions of our fellow human beings who have been affected by genocide in Myanmar. This symphony, far more than a call to hope, below its musical surface, is as transcendent a call to recognize our interconnectedness as a global society as was ever fashioned in words or music. Written in an earlier time of global discord and conflict, Beethoven’s music and Schiller’s text create a new possibility of cultural embrace, of West and East, of European and Islamic musics embracing and enriching each other. There is no more fitting way for us in the musical community to give voice to the acute need, suffering and to give voice to the hope, of the millions of voiceless men, women and children affected by this tragic disaster. Beethoven’s music and Schiller’s words – “Seid Umschlungen, Millionen!” (Be embraced, You Millions!) speak to the hope and urgency utterly central to the responsibility that we, as a global community, must heed today. Tomorrow will be too late. "...A shining example of my father, Leonard Bernstein's creed that art can 'do work in the world.' He has worked tirelessly through music to move and uplift people." Singapore-born American conductor, George Mathew, founder and Artistic Director of MUSIC FOR LIFE INTERNATIONAL and the UBUNTU-SHRUTI Orchestra, has emerged as one of the leading forces in the classical music world bringing symphonic music to focus on global humanitarian issues and crises at the beginning of the 21st Century. In recent seasons he has appeared in the US, Australia, Jordan, India, Panama, Morocco, Netherlands, and South Africa as conductor and ambassador for transformative action through music. Mr. Mathew and Music For Life International were honored with the 2016 Robert and JoAnn Bendetson Award for Public Diplomacy from the Institute for Global Leadership at Tufts University, for their services to global public diplomacy through music. 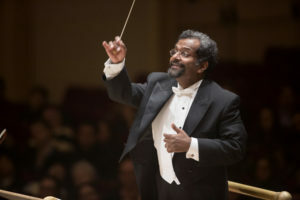 Mr. Mathew and Music for Life International returned to Carnegie Hall on February 13th, 2017 for MAHLER FOR VISION, a performance of Mahler’s vast Second Symphony “Resurrection,” dedicated to ending cataract blindness for their seventh global humanitarian concert at Carnegie Hall since 2006. MFLI’s global humanitarian concerts have included Beethoven’s Ninth for South Asia (2006), Requiem For Darfur (2007), Mahler for the Children of AIDS (2009), Beethoven for the Indus Valley (2011), Shostakovich for the Children of Syria (2014) and The Scheherazade Initiative (2015), focusing on Violence against Women. These concerts, presented in Carnegie Hall, have brought together distinguished musicians from over 120 leading international ensembles including the New York Philharmonic, MET Orchestra, Berlin Philharmonic, Vienna Philharmonic, The Philadelphia Orchestra, Boston Symphony, Israel Philharmonic, Cincinnati Symphony, San Francisco Symphony Orchestra, Hong Kong Philharmonic, Shanghai Symphony, the Emerson, American, Guarneri and Brentano String Quartets, the Metropolitan Opera, and students, graduates and faculty of The Juilliard School, Curtis Institute, Royal Academy of Music, Sibelius Academy and others. 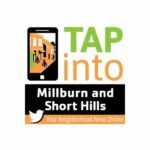 Choral partners have included the Dessoff Choirs, MasterVoices (formerly known as the Collegiate Chorale), and the Montclair State University Chorale. They have also raised more than US$3.2 million since their inception. Since then concert partners have included HelpMeSee, the United Nations Trust Fund to End Violence Against Women, UN Women India, Acumen Fund, Doctors Without Borders, UNICEF, Refugees International, Catholic Medical Mission Board, American Jewish World Service and Questscope. George Mathew and these humanitarian concerts have been profiled by the global media, including BBC WORLD TV and Radio, CNN International, ZEE TV, Public Radio International, the New York Times, Wall Street Journal, Bloomberg News, New York magazine, the US State Department, Radio France, Voice of America, NY1 television, National Public Radio’s Weekend Edition and Morning Edition, the Indian Express, The Hindu, the Pakistan Daily Times, DNA India, Musical America and Symphony magazine. George Mathew has spoken on music and social impact around the world at such venues as TEDx WanChai (Hong Kong), INK (India), and events hosted by UNDP and UNICEF. In 2011 he delivered the 4th Annual S.T. Lee Lecture on Social Justice and Public Policy at Witwatersrand University, Johannesburg. Mr. Mathew spoke at the United Nations Development Program’s 2010 ‘Capacity IS Development’ Global Event in Marrakech, Morocco, presenting the orchestral paradigm as a new leadership model for developing institutions and capacity in the twenty-first century. In December 2010, he was a featured speaker at the first INK conference held in association with TED, in Lavasa, India. He has also lectured on transformative social impact through music at Amherst College, Wellesley College, Manhattan School of Music, Southern Connecticut State University, Tufts University and at institutions such as Acumen Fund, IBM India, IDIOM Design, and UNDP Panama. In December 2010, Mr. Mathew launched UBUNTU-SHRUTI, a new professional training orchestra of young empowered musicians and distinguished mentors creating inspired music and programming dedicated to immigrants, community, and education through music. The Orchestra is modeled after the Berlin Philharmonic Academy and mentored by distinguished musicians from the New York, Berlin, and Los Angeles Philharmonics and The Philadelphia Orchestra. In 2010, Mr. Mathew was named Artistic Director and Conductor of the New Year’s Eve Concert for Peace at the Cathedral of St. John the Divine in New York City. This historic concert, held annually in the largest Cathedral in North America, was founded in 1985 by Leonard Bernstein. His first Concert for Peace there, held on December 31, 2010, was titled “MASS IN TIME OF A DRONE WAR” and featured Josef Haydn’s Mass in Time of War as well as Jewish, Christian and Muslim music. Their second New Year’s Eve Concert on December 31, 2011 featured Michael Tippett’s “A CHILD OF OUR TIME” with the Dessoff Choirs and UBUNTU-SHRUTI. These concerts marked the first public appearances of MFLI’s new professional training orchestra UBUNTU-SHRUTI. George Mathew made his India conducting debut in New Delhi with the Neemrana Opera and the Bombay Chamber Orchestra at Siri Fort Auditorium. He made his Central American debut in June 2010 at the Music Festival of Panama in Panama City and was re-engaged for the 2013 Festival. In May 2011, he made his African debut with the Johannesburg Philharmonic. Mr. Mathew made his conducting debut at the United Nations in October 2007. He has held academic positions at Manhattan School of Music, Amherst College, the University of Minnesota, and Tufts University, where he served as Director of Orchestral Studies. He is a graduate of Amherst College, the University of Minnesota and the Manhattan School of Music. "A Godsend to those who believe in the power of music to change lives and inspire." 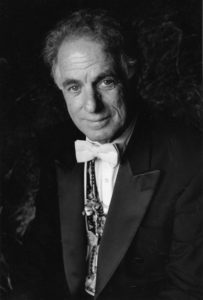 David Amram started his professional life in music as a French Hornist in the National Symphony Orchestra (Washington, D.C.) in the 1950s, as well as playing French horn in the legendary jazz bands of Charles Mingus, Dizzy Gillespie, Lionel Hampton and Oscar Pettiford. Since the early 1950s, he has traveled the world extensively, working as a musician and conductor in over thirty-five countries including Cuba, Kenya, Egypt, Pakistan, Israel, Latvia and China. He also regularly crisscrosses the United States and Canada. He composed the scores for the films Pull My Daisy (1959), Splendor In The Grass (1960) and The Manchurian Candidate (1962). He composed the scores for Joseph Papp's Shakespeare In The Park from 1956-1967 and premiered his comic opera 12th Night with Papp's libretto in 1968. He also wrote a second opera, The Final Ingredient, An Opera of the Holocaust, for ABC Television in 1965. From 1964-66, Amram was the Composer and Music Director for the Lincoln Center Theatre and wrote the score for Arthur Miller's plays After The Fall (1964) and Incident at Vichy (1966). Appointed by Leonard Bernstein as the first Composer In Residence for the New York Philharmonic in 1966, he is one of the most performed and influential composers of our time. His most popular recent symphonic compositions include This Land, Symphonic Variations On A Song By Woody Guthrie (2007), commissioned by the Guthrie Foundation, performed by the Colorado Symphony with Amram conducting and recorded by Newport Classics in 2015; Giants of the Night (2002) commissioned and premiered by flutist Sir James Galway; Kokopeli, A Symphony in Three Movements (1995), premiered by the Nashville Symphony Orchestra with Amram conducting; Three Songs, A Concerto for Piano and Orchestra (2009) and Greenwich Village Portraits for Alto Saxophone and String Orchestra (2018). He has also collaborated as a composer with Elia Kazan, Arthur Miller, Eugene Ormandy, Langston Hughes and Jacques D'Amboise, as a musician with Thelonious Monk, Johnny Depp, Hunter S. Thomas, Odetta, Bob Dylan, Willie Nelson, Betty Carter, Floyd Red Crow Western, Arlo Guthrie, Pete Seeger, Paquito D'Rivera and Tito Puente. 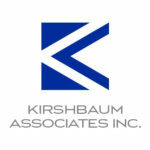 His archive of professional and personal papers were acquired by the Lincoln Center of the Performing Arts Branch of the New York Public Library. And, he was the subject of the prize-winning full-length feature documentary David Amram: The First Eighty Years, which is available on Vimeo On Demand. Amram is the author of three memoirs, Nine Lives of a Musical (2009), Offbeat: Collaborating With Kerouac (2005) and the highly acclaimed Vibrations (1968, 2007), all published by Routledge Taylor and Francis. In 2011, Amram was inducted into the Oklahoma Jazz Hall of Fame as recipient of The Jay McShann Lifetime Achievement Award. In 2013 he was presented with Clearwater's Pete and Toshi Seeger Annual Power of Song Award. In 2016 he received several awards for his lifetime of work as a classical composer, improvising multi-instrumentalist and pioneer of World Music, while touring internationally and premiering his Three Lost Loves for alto saxophone, violin and piano. And The New York City Chamber Music Festival chose him as their composer in residence for their 2016-2017 season. In 2017, he composed Partners: a double concerto for violin, cello and orchestras, premiered the string orchestra version of his Greenwich Village Portraits for saxophone and orchestra, was made a Lifetime member of the Actors Studio and given a special award by Farm Aid for 30 years of annual collaborations with Willie Nelson to help support America's family farmers through music. In early 2018 he composed the score for Oscar-winning director Barbara Kopple's new documentary feature film, New Homeland about Iraqi and Syrian refugees in Canada. In December of 2018, he attended the World Premiere of his latest symphonic work Partners: A double concerto for violin and orchestra in Ann Arbor Michigan. The National Orchestra of China presented the Asian premiere of his flute concerto Giants of the Night, composed for flutist Sir James Galway and Jacopo Taddei, the prize-winning 21 year old classical saxophonist, performed the Italian premiere of Amram's Three Lost Loves for the opening night of the International Chamber Music Festival in Verona. In early 2019, he will conduct his Elegy for Violin and Orchestra at Carnegie Hall, the New York Philharmonic's brass quintet will present the NY Premiere of his Fanfare and Processional and is composing Voyages for unaccompanied violin for virtuoso violinist Elmira Darvarova, while completing his fourth book David Amram: The Next 80 Years.